Dr. DeGregorio and her team focus on whole body dentistry, making biocompatible material choices when restoring damaged teeth. She is passionate about educating patients so that they can make informed choices about their dental needs. She completed yet another Safe Mercury Amalgam Removal Technique (SMART) certification on June 7, 2016 and posted this for the further benefit of patients and prospective patients. We also offer Invisalign® for our Shadyside patients. 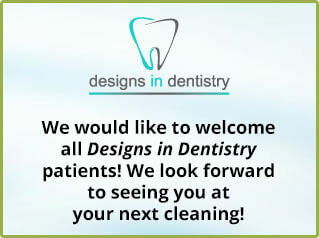 We know that you will appreciate our attention to your individual dental needs and we welcome all new patients who are looking for a whole body, biological and holistic approach to their dental care. Holistic dentistry is a philosophy that recognizes that the teeth and associated structures are a part of the whole body. This philosophy underlies everything we do at the center. Because of her advanced training and emphasis on total health, Dr. DeGregorio and her team take a unique whole body approach to oral health care, combining sound dental science and technical experience with a deep concern for her patients’ emotional and physical well-being and comfort. We are a mercury-free, mercury-safe, fluoride-free biological dental practice located in Pittsburgh, PA.
Watch how mercury escapes from an ordinary amalgam/silver dental filling. The information provided on this site is not intended as medical or dental advice and should not be interpreted as such. The intent is to provide as much scientific information as possible on different dental materials and aspects of dentistry where controversy exists and scientific clarification would be of benefit to patients, staff, dentists, physicians and scientists in making informed judgments. If you seek medical or dental advice, please consult with a health care professional. You must always exercise your own best judgment when using the services of any health care practitioner.